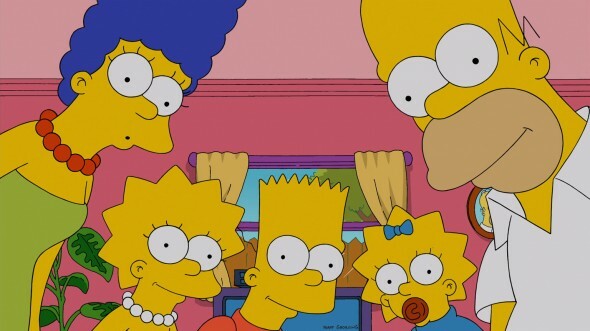 The new season of The Simpsons will be super-sized. Today, FOX announced season 28 of the animated series will feature an hour-long episode. The record-breaking episode will premiere in January 2017 and feature the voices of Keegan-Michael Key and Taraji P. Henson. Season 28 of The Simpsons premieres on September 25th at 8 p.m. ET/PT, with special guest Amy Schumer. Already in the history books for its unprecedented, upcoming 28th season, THE SIMPSONS makes history once again with its first-ever one-hour episode airing in January 2017 on FOX. “I just pray it won’t be the last thing people see before a Trump inauguration,” said executive producer Al Jean. In the one-hour “The Great Phatsby,” featuring Emmy Award nominee Taraji P. Henson (EMPIRE) as a guest voice, Mr. Burns (Harry Shearer) tries to relive his glory days, and crosses paths with a mysterious music mogul. After being conned by him and reduced to bankruptcy, Mr. Burns seeks revenge on the music producer with the help of Homer, Bart, rapper Jazzy James (guest voice Keegan-Michael Key) and the mogul’s ex-wife, Praline (guest voice Henson). Also in the episode, Lisa (Yeardley Smith) is courted by the richest kid in town, Smithers (Shearer) begins a perilous journey and Marge (Julie Kavner) opens an obscure boutique store. Premiering Sunday, Sept. 25 (8:00-8:30 PM ET/PT), Season 28 kicks off with the all-new episode “Monty Burns’ Fleeing Circus,” in which Springfield is burned to the ground, and the Simpsons beg Mr. Burns (Shearer) to fund its rebuilding. Burns agrees – with one condition: he gets to put on a variety show at the Springfield Bowl. What do you think? Do you watch The Simpsons? Are you excited for the new season? More about: FOX TV shows: canceled or renewed?, The Simpsons, The Simpsons: canceled or renewed?